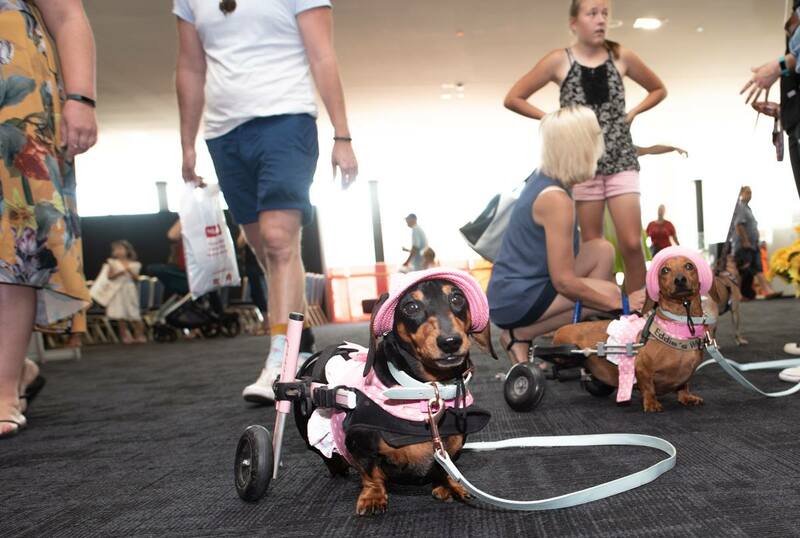 Over 12,500 K9-tragic visitors flocked to the Brisbane Showgrounds last weekend to cool off with diving dogs, a plethora of pooches and over 150 Exhibitors at the 2018 Brisbane Dog Lovers Show last week-end (3 & 4 November). The inaugural Brisbane Common Woof Games was deemed crowd favourite with packs of people cheering on 4-legged participants who had travelled to Brisbane from across the Commonwealth to battle it out for gold, silver and bronze medals in a spectacular series of doggy sports. 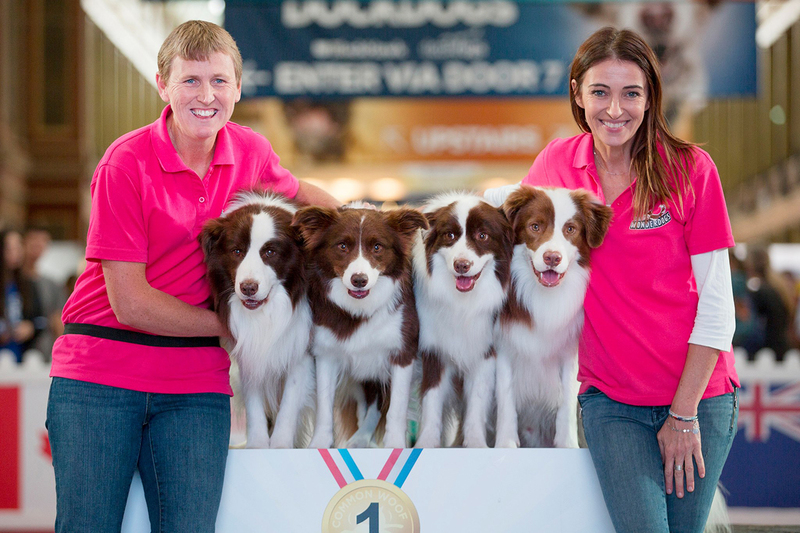 Canines representing Australia, New Zealand, Canada and England thrashed it out in a spectacular competition in the Royal Canin® Arena for their place on the podium. Stand out paw-formances included ‘Robin’ the Black Barb Kelpie taking out gold in the Vault, reaching an ast-hound-ing height of 3.2 metres. ‘Roxy’ the Kelpie from Whakatane in New Zealand followed as a close second reaching 3.1 metres. An invictus-inspired race featured a heart-warming performance by wheelchair Dachshund ‘Waddle’ from Storybook Farm-Sacred Animal Garden, in a wonderful display of inclusive sports culture. Mini Dog Hurdles world champion ‘Pablo’ the German Spitz Klein from England, held onto his title by a whisker in a photo finish final against ‘Louis’ the Canadian Papillon. 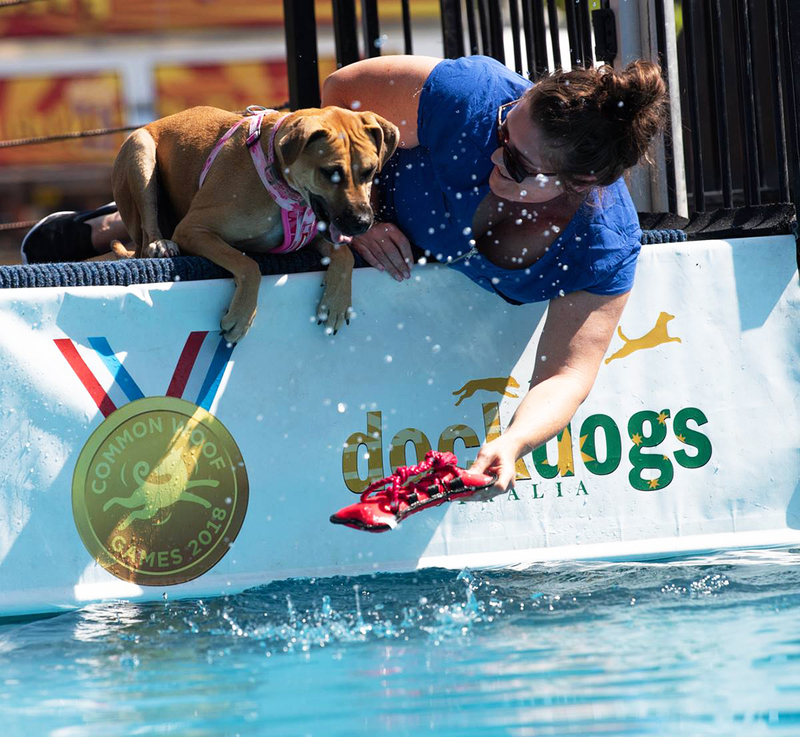 Black Hawk DockDogs® made their Brisbane Dog Lovers Show debut with dogs of all shapes and sizes launching into a 100,000-litre pool. 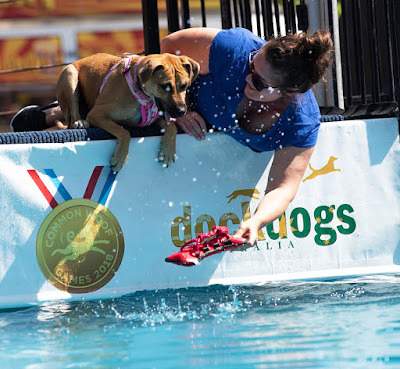 Splash-tastic performances cooled off a sea of fans in the Queensland heat and saw a world record Speed Retrieve of 4.52 seconds by ‘Merlin’ the Tri-Border Collie, representing Australia with young handler Perry. ‘Scud’ the Blue Healer Collie Cross also snapped up gold in the aquatic long jump, leaping 25-feet 5-inches alongside handler Darcy from Gundiwindi. 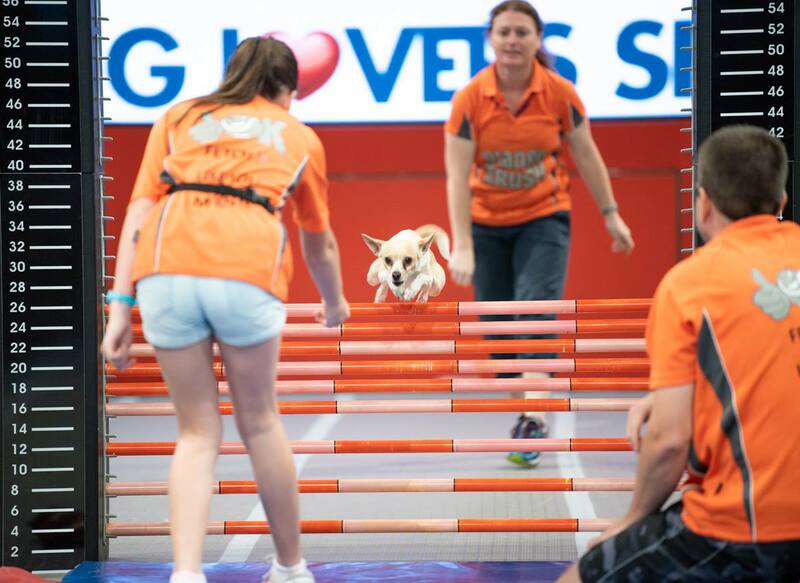 “The 2018 Brisbane Dog Lovers Show hosted the last leg of the inaugural Common Woof Games series. The program demonstrated the incredible bond, trust and respect between dogs and trainers, which created such joy for the dog-loving community.” said Farmer Dave Graham. The glitz and glamour of the Insta-Pooch Zone was not to be outdone by the Show’s s-paw-ting sensations. Fans lined the red carpet as more than 20 Insta-famous dogs strutted their stuff, snapped selfies with fans and posed for the pup-arazzi. Some of the biggest names in attendance included Daisy Rey the Dachshund with over 55k followers and Cocker Spaniels Charlie and Frankie with a shy 62k followers! The beloved Dog Adoption Zone returned with more than 30 rescue groups dedicated to finding fur ever homes for four-legged friends in need taking part in the show. The new Dog Adoption Stage hosted talks from shelter representatives who educated visitors on all things adoption and answered burning questions from hopeful adopters. 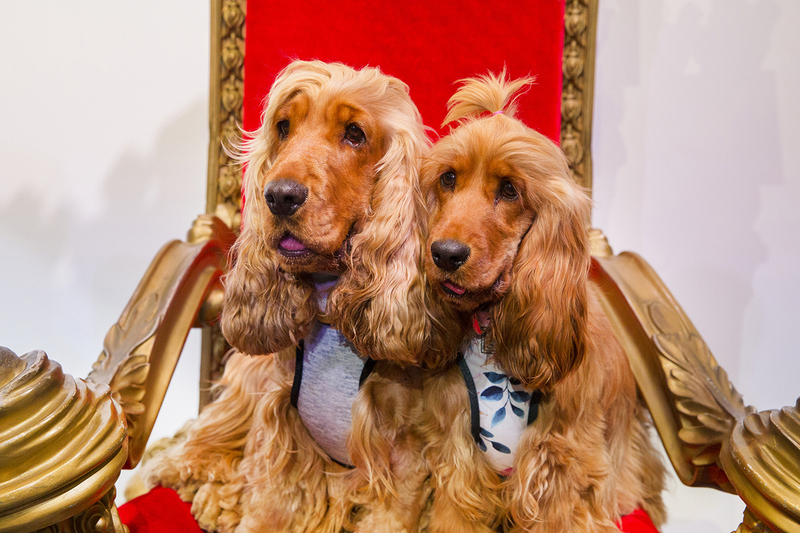 Other Show highlights included the Breed Showcase which housed an A to Z of pooches, from cheerful Chihuahuas to giant German Shepherds, alongside the dedicated Pat-A-Pooch Zone for oodles of fluffy cuddles. 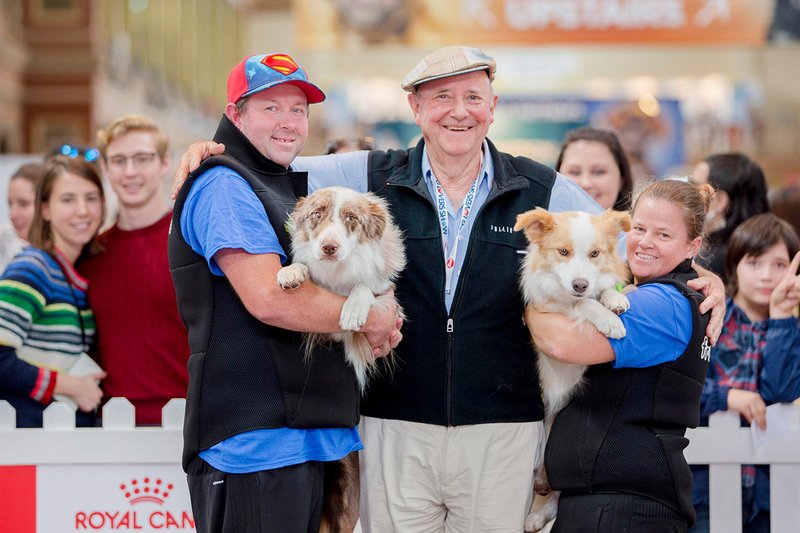 The Dog Lovers Show returns to Melbourne (3 - 5 May 2019 ), Sydney (3 - 4 August 2019) and the sell-out Cat Lovers Show pounces back to Melbourne at a date to be announced shortly around late November 2019.